SportsNet LA announced Tuesday a four-part miniseries offering a comprehensive look at the life of former Dodgers manager Tommy Lasorda. 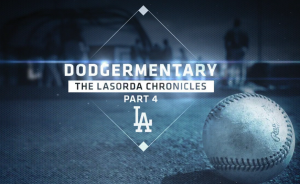 The series, entitled Dodgermentary: The Lasorda Chronicles, will look at the Hall of Famer’s time both on and off the field and duties he took on that went beyond working as a manager. “Breaking Bad” star Bryan Cranston will narrate the show, which premieres Saturday at 10 p.m. PT. The first episode will center on Lasorda’s life before getting called up to the Majors, detailing his life growing up in a small Pennsylvania town and his initially rocky Minor League career. The next three episodes, televised Sundays in the following weeks at 7 p.m. PT, will delve into Lasorda’s life as the Hall of Fame manager that led the Dodgers to two World Series titles and all that came after it. That will include his time coming out of retirement to coach the USA baseball team to its only Olympic gold medal. Vin Scully will lead a group of Lasorda friends and Dodgers greats that were interviewed for the series. Among those fans can expect to hear from are Orel Hershiser, Dusty Baker, Mike Piazza, Peter O’Malley and Rick Monday. The series will also feature Lasorda’s Hall of Fame induction, including footage of a phone call from Ted Williams to notify the manager of his induction.